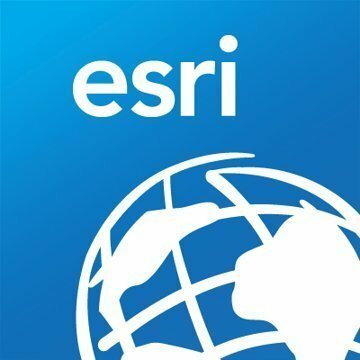 Work for ArcGIS Geostatistical Analyst? Learning about ArcGIS Geostatistical Analyst? "Best System for Finding Accurate Geographic Statistics"
I love how quick and easy it is to find your statistics. You can easily target specific areas for your research, which makes it much easier to provide proof and statistics to back up your claims and hypothesis'. I would like it if I could type in my own targeted demographic to find results quicker. Try it out to see if this software is the right fit for your company's goals. You can easily input this type of technology in your marketing sectors to help their team find quick and accurate statistics that target their unique demographic. The benefits of using the ArcGIS Geostatistical Analyst program is that you don't have to take weeks or months to do your research on geographic locations and demographics because everything is already uploaded in this software. "Good tool for beginners "
Tool in the spatial analysts are easy to understand, especially the way each tool is explained using figures and diagrammatic explanation of all spatial manipulations. Its hard to run iterating calculations using point and click interface of the analyst. Coding through python API is essential. Finding correct tool in the spatial analyst is difficult too. Making the spatial analyst available without the use of ArcGIS desktop application through python API will increase the usage for all the spatial coders and analysts. Allow students to perform correct and spatial analysis and learn about all the concepts related to spatial analysis. The inter connectivity of ArcGis to Oracle for geospatial images works really well. It provides easy acces to data for display on web products. I feel things sometimes that it’s difficult to find other products other than oracle to store it. The cost of oracle spatial is high. We’ve found ways to better intigrate our imagery into more products as well as with updates make it more able to be web enabled. * We monitor all ArcGIS Geostatistical Analyst reviews to prevent fraudulent reviews and keep review quality high. We do not post reviews by company employees or direct competitors. Validated reviews require the user to submit a screenshot of the product containing their user ID, in order to verify a user is an actual user of the product. Hi there! Are you looking to implement a solution like ArcGIS Geostatistical Analyst?